Newly listed in the sun drenched shores of Port Saint Lucie, Florida is this palatial estate. Nestled in the coveted enclave of Tesoro is this 4 bedroom/5.5 bathroom jewel. About 5,600 square feet of chic appointed living space. A spectacular chef equipped kitchen is spacious and equipped with striking granite counter tops, all stainless steel appliance suite, and hand crafted custom cabinetry. The meticulously landscaped lush green park like grounds is mesmerizing. The summer kitchen is perfect for entertaining by the sparkling swimming pool and spa. A generously over sized Master suite has expansive "his and hers" built in walk in closets. All the glass doors and windows are high impact and the home has a generator. This Tesoro listing is courtesy of Sotheby’s International Realty MLS#RX-10084359. 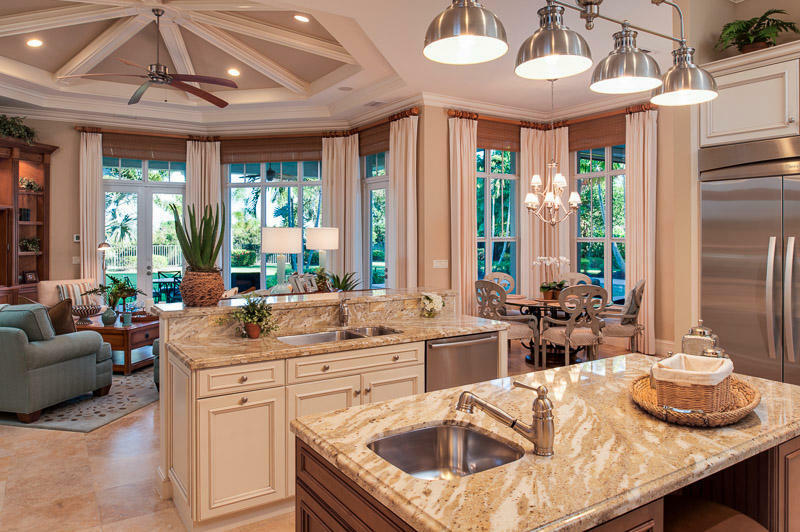 Tesoro is an enviable country club community tucked in Port Saint Lucie. Residents enjoy five star amenities such as 72-par Arnold Palmer Signature golf course, lakefront pool and spa, 10 Har-Tru tennis courts, croquet courts, golf and tennis pro shops, and state of the art fitness center. Located on just east of Florida’s turnpike for easy access, residents of the Tesoro also enjoy close proximity to upscale shopping and fine dining at nearby Downtown Stuart and Harbourside Place of Jupiter.